Evening meals will be available in the stadium cafe at a low cost for those arriving direct from work. To obtain season tickets please call the Stadium on 01795 475547 in normal office hours Monday-Friday 9.00am - 5.00pm or Saturday 10.00am - 3.00pm. 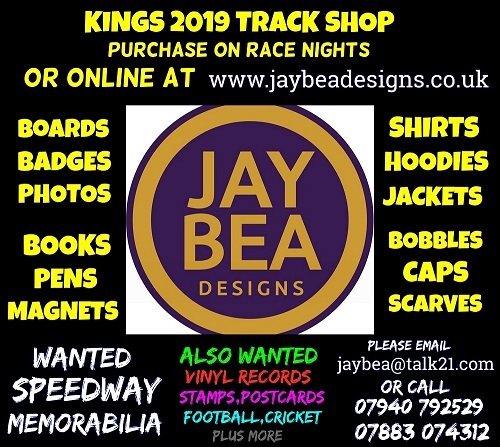 If it is necessary to abandon a meeting before the completion of heat 10, customers will be entitled to reduced admission at any one future Speedway meeting this season or next season here at Central Park Stadium. Full details are available upon request at the entrance. No cash refunds are given. Meetings abandoned after 10 completed heats are declared as results and no re-admission arrangements apply.